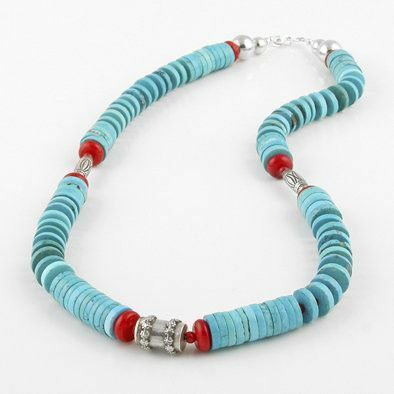 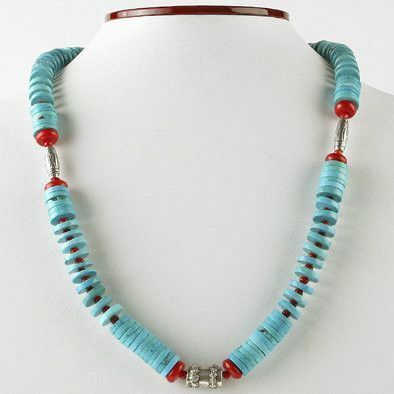 This Native American hand crafted Kingman turquoise and red coral necklace features vivid red and bright blue beads of different shapes grouped intentionally to form a necklace that uses texture and dimension as a platform for displaying the bold and bright colors of the earth. 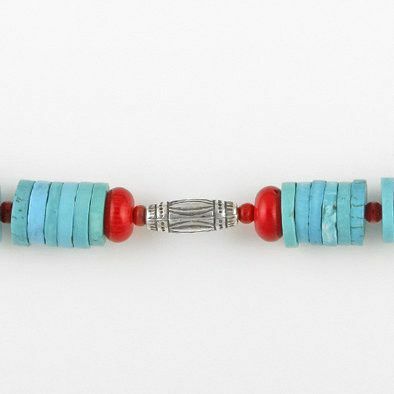 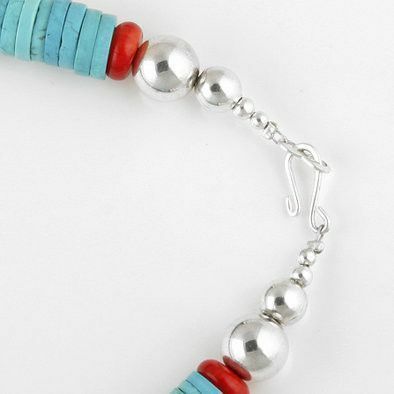 Groups of turquoise cylindrical disk beads are stacked together next to groups of turquoise beads separated by small red coral spheres, accented with three ornate blackened .925 sterling silver beads capped with rounded coral disks. 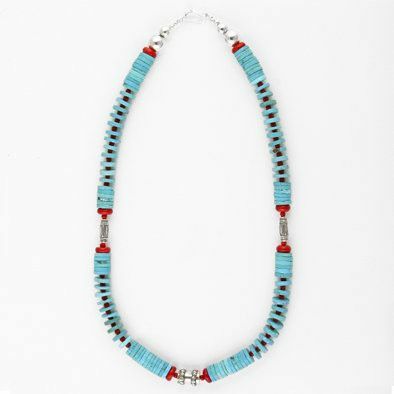 Kingman turquoise is noted for its bright, rich blue and minimal black matrix. 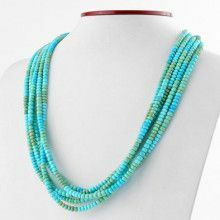 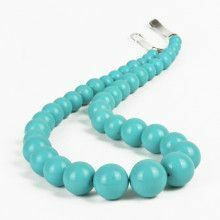 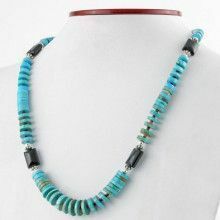 Each turquoise bead features variations in shape and matrix, making no two stones alike and producing a stunning one-of-a-kind turquoise necklace. 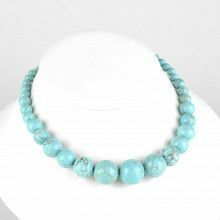 Turquoise is the birthstone for December, making this necklace the perfect gift for the Sagittarius in your life.